Greetings from Huong, Ella, and Kaylee from The 88 Project! We are bringing to you news, analysis, and actions regarding human rights and civil society in Vietnam during the week of May 22 to 28, 2017. We are thinking of prisoner of conscience Trần Huỳnh Duy Thức, as May 24 marked eight years since he was arrested. 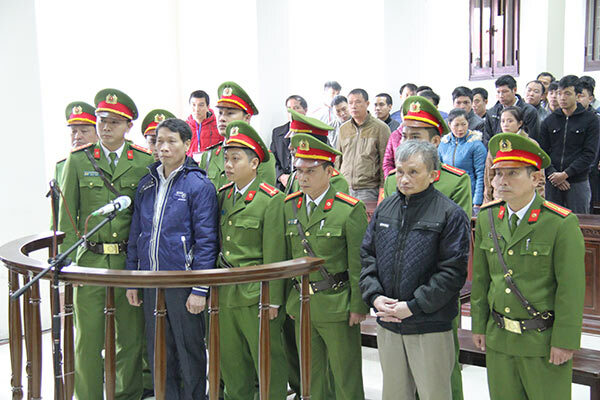 On May 26, a court of appeal upheld the heavy sentences of 12 and 13 years of imprisonment, respectively, for dissidents Trần Anh Kim and Lê Thanh Tùng. Many activists were confined to their homes as the U.S.-Vietnam human rights dialogue took place on May 23, although independent civil society organizations and activists were able to make their voice heard in a meeting with the U.S. delegation and through a joint declaration. Do check out the U.N. recommendations on the 2015 Criminal Code and Criminal Procedural Code of Vietnam as the codes contain provisions that are incompatible with the international law of human rights. There is more news and analysis on the death penalty, the situation of the Montagnard asylum seekers, and the visit of Vietnam’s Prime Minister Nguyễn Xuân Phúc to the White House next week. 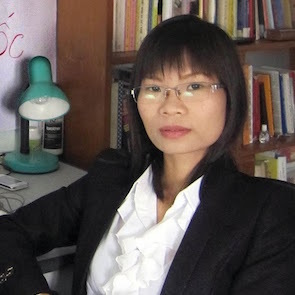 May 24, 2017 marks eight years since blogger and entrepreneur Trần Huỳnh Duy Thức was arrested by the Vietnamese authorities. Family, supporters, and the international community continue to rally around him. 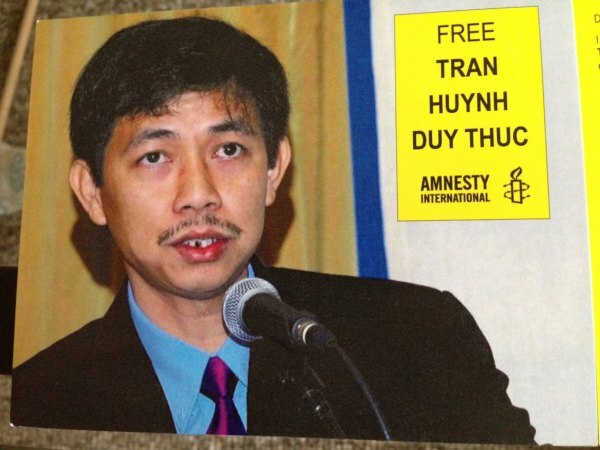 Amnesty International released a letter from twelve directors ahead of the anniversary, urging the Vietnamese government to release Thức immediately and quash his conviction, or in the alternative, to treat him with respect while he is still imprisoned. The 88 Project echoes this appeal, firmly believing that Thức should be released unconditionally and be allowed to remain in Vietnam upon his release. Check out this video by Front Line Defenders about former prisoner of conscience Phạm Thanh Nghiên, a finalist for the 2017 Front Line Defenders Award for Human Rights, to learn more about her and the struggle of Vietnamese political activists. As the U.S.-Vietnam human rights dialogue was taking place in Hanoi on May 23, many activists were prevented from meeting with U.S. State Department officials. Among them were independent journalist Phạm Đoan Trang and political activist Nguyễn Quang A, who were confined to their homes by plainclothes police. One day after the human rights dialogue, on May 24, a U.S. delegation led by Ms. Virginia Bennett, acting Assistant Secretary of State for Democracy, Human Rights and Labor, was able to meet with activists in Hồ Chí Minh City over dinner. Earlier in the week, eleven Vietnamese civil society organizations sent a joint declaration on the general human rights situation in Vietnam to the U.S. State Department, recommending the U.S. to include binding provisions regarding human rights and an independent judiciary in trade negotiations between the two countries. The 2015 Criminal and Criminal Procedure Codes, the implementation of which was suspended last July for substantive errors, are back on the legislative floor for amendment debates this week. Check out the U.N. Recommendations on the 2015 Criminal Code and Criminal Procedural Code of Viet Nam in which the U.N. raises concerns regarding selected provisions that are incompatible with the international law of human rights. Another controversial provision of the 2015 Criminal Code that provoked heated debate at the National Assembly this week is Art. 19, Clause 3 which holds a defense counsel criminally accountable for not denouncing his/her own client’s “national security crimes”… It’s already difficult enough for human rights lawyers to do their job in Vietnam. With this kind of provision, no lawyer would want to take on the defense counsel role for political dissidents and human rights defenders anymore. “Forced” Montagnard TV confessions aired on Vietnamese television: “A video has emerged on Vietnamese television of Montagnards making ‘confessions,’ just weeks after a rights group claimed the returned refugees had been forced by the Hanoi government to take part in such interviews. […] Y-Duong Mlo was among 25 Montagnards authorities returned to Vietnam last month after failing to achieve refugee status in Cambodia. A video uploaded to YouTube by a channel that translates as ‘Security and Order Dak Lak’ on May 13 shows Mr. Mlo apologizing for his actions and depicting Cambodia as a dire place for Montagnards—also referred to as Degar and Dega.” This, sadly, is a sign that the Montagnards asylum seekers who were forced to return to Vietnam are not being left alone by the authorities. 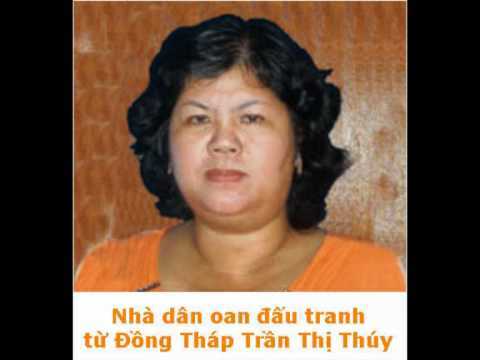 May 30 marks the 6th anniversary of the trial of Trần Thị Thúy and six other land rights activists, who were sentenced to between four and eight years of imprisonment under Art. 79 of the Criminal Code (“carrying out activities aiming to overthrow the people’s government”) on May 30, 2011. According to Amnesty International’s list of Vietnamese prisoners of conscience, Phạm Văn Thông, serving 7 years, is due to be released this July. Trần Thị Thúy, a Hòa Hảo Buddhist, serving 8 years, has been in poor health, and is slated for release in August 2018.